Hey Hey all, lets get down to business. I stumbled a crossed this little shop before they moved to this location. They have cute clothing for both Men and Women. My Favorite thing I have won off a lucky board has been there “Hi” Long sleeve dress shirt and sweater. 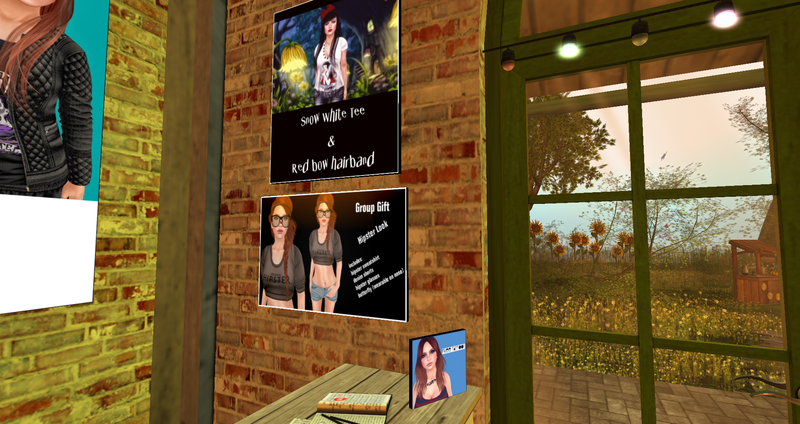 Here is how you get there —-> Bella’s Lullaby In-World Store Make sure when you get there and you are finished in the store you check out the land, its decorated quite Whimsical and Beautiful. I find it peaceful here. There is even a Gacha Yard Sale in the front yard. To get the gifts and even play on the Lucky Boards you have to be apart of the group. I hope you all enjoy this little shop as much as I do.